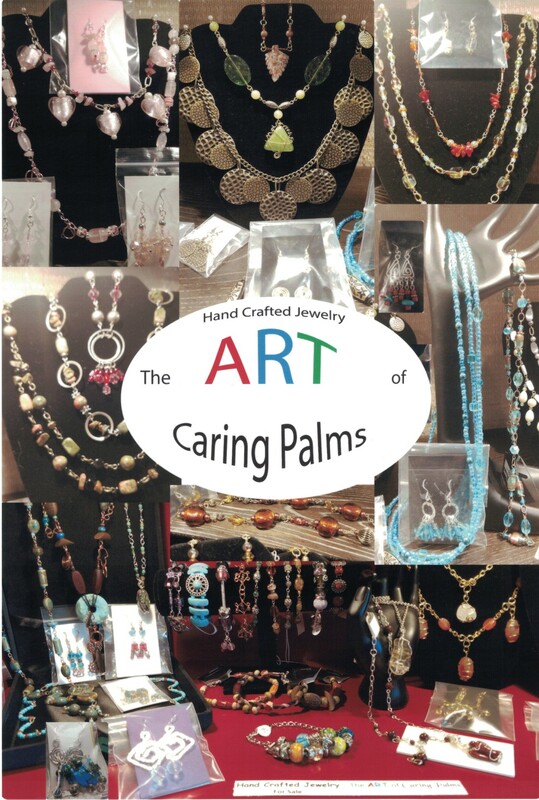 Caring Palms sells hand-crafted jewelry designed and created by Shirley Dean. This is truly the Art of Caring Palms. Each piece is created from scratch. Some involve wire wrapping, wire flattening, and general beading. Some pieces include crystals. There are long and short necklaces, bracelets, and earrings. Come see our constantly changing collection. (Sorry, no online orders. ).